In paper the impact of intentionally chlorine-contaminated fuel on nitrogen oxides emission control elements in compression engine was described. The quality of fuel used is of key importance for the failure-free operation of the engine. Fuel contamination can occur mainly at the transport or storage stage.The main attention was paid to the EGR heat exchanger, which is used for exhaust gases recirculation, being one of the ways to reduce the emission of harmful NOx. The tests were conducted under laboratory conditions (research engine stand tests) in cycles consisting of four phases. The fuel used was intentionally contaminated with chlorine. The test was interrupted after 250 hours at the engine failure and deposits appearance at the EGR heat exchanger. Test results of chemical composition of deposits, analytical methods used and sources and the cause of deposits appearance were described in present paper. Ambrosiewicz-Walacik M., Piętak A., Ocena jakości olejów napędowych wykorzystywanych do zasilania silników o ZS z wybranych olsztyńskich stacji paliw, “Combustion Engines” 2015, nr 172(3), 963-967. Baskar P., Senthilkumar A., Effects of oxygen enriched combustion on pollution and performance characteristics of a diesel engine, „Engineering Science and Technology, an International Journal” 2016, nr 19, 438-443. Bieniek A., Mamala J., Graba M., Hennek K., Impact of EGR contro lat in-cylinder pressure and ecological properties of CI off-road vehicle engine, “Combustion Engines” 2017, nr 170(3), 88-95. Faber J., Brodzik K., Elemental analysis as an important tool for fuels and biofuels quality control, “Combustion Engines” 2017, nr 171(4), 140-144. 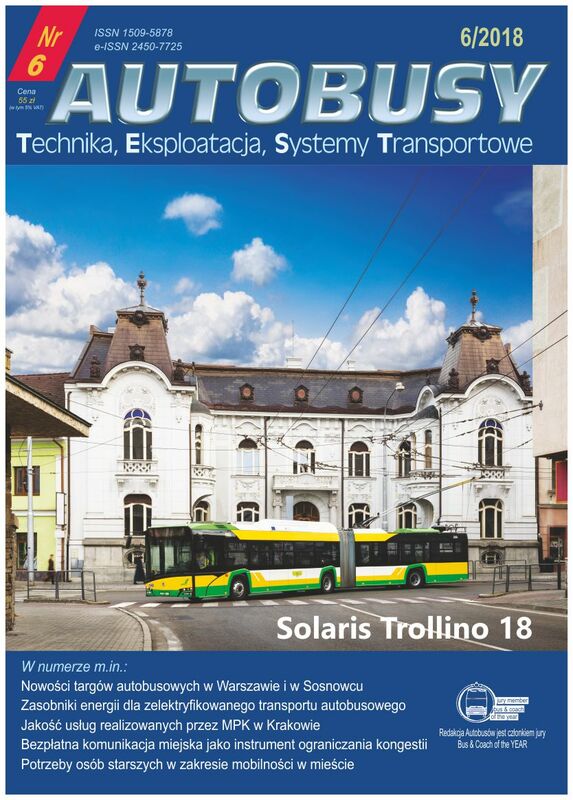 Faber J., Brodzik K., Szary J., Badania składu pierwiastkowego paliw i biopaliw, „TTS – Technika Transportu Szynowego” 2015, nr 12, 478-483. Ghassembaglou N., Torkaman L., Efficient design of exhaust gas cooler in cold EGR equipped diesel engine, “Alexandria Engineering Journal” 2016, nr 55, 769-778. Gokul Raj C. R., Jinuchandran, Nandhu K., Jyothis S., Aneesh K. J., Biju Ch. A., Combustion and emission characteristics of a direct injection diesel engine at various EGR conditions – a numerical experimental study, “European Journal of Advances in Engineering and Technology" 2018, nr 5(1), 35-42. Lattimore T., Wang Ch., Xu H., Wyszynski M. L., Shuai S., Investigation of EGR effect on combustion and PM emissions in a DISI engine, “Applied Energy” 2016, nr 161 C, 256-267. Li B., Li Y., Liu H., Liu F., Wang Z., Wang J., Combustion and emission characteristics of diesel fuelled with biodiesel/PODE blends, “Applied Energy” 2017, nr 206, 425-431. Li L., Wang J., Wang Z., Xiao J., Combustion and emission characteristics of diesel engine fuelled with diesel/biodiesel/pentanol fuel bends, “Fuel” 2015, nr 156, 211-218. Osipowicz T., Lisowski M., The influence of corrosion phenomena on operational parameters of modern fuel injectors CI-engines, “Combustion Engines” 2017, nr 171(4), 17-23. PN-EN 14214+A1:2014-04, Ciekłe przetwory naftowe. Estry metylowe kwasów tłuszczowych (FAME) do użytku w silnikach samochodowych o zapłonie samoczynnym (Diesla) i zastosowań grzewczych. Wymagania i metody badań, 2014. PN-EN 1706:2011, Aluminium i stopy aluminium. Odlewy. Skład chemiczny i własności mechaniczne, 2011. PN-EN 590+A1:2017-06, Paliwa do pojazdów samochodowych. Oleje napędowe. Wymagania i metody badań, 2016. Reitz R. D., Duraisamy G., Review of high efficiency and clean reactivity controlled compression ignition (RCCI) combustion in internal combustion engines, “Progress in Energy and Combustion Science” 2015, nr 46, 12-71. Saravanan S., Effect of EGR at advanced injection timing on combustion characteristics of diesel engine, “Alexandria Engineering Journal” 2015, nr 54, 339-342. Yasin M. H. M., Mamat R., Yusop A. F., Mohamad D., Idris N. D., Yusaf T., Rasul M., Najafi G., Study of a diesel engine performance with exhaust gas recirculation (EGR) system fuelled with palm biodiesel, “Energy Procedia” 2017, nr 10, 26-31.